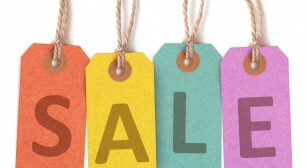 Fludes Carpets is pleased to finally announce the details of our annual summer sale! Should you be in the market for new carpet, rugs, or flooring, head down to one of our stores to take advantage of this fantastic offer – available for a limited time only. NOW ENDED: Free carpet fitting for a limited time only! Fludes Carpets is pleased to announce that we are offering free carpet fitting on rooms over 4m x 4m for a limited time only when the carpet is ordered with new underlay! 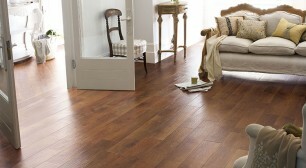 Once you've selected your flooring we can arrange a suitable time and date to visit your home. Our estimator can then measure up and explain all of the options available to you. At Fludes carpets we're aware that taking up and disposing of an old carpet is quite a daunting thought, so our fitters are quite prepared to do it for you. 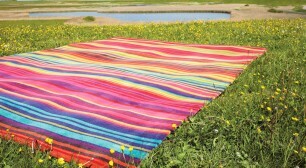 We can arrange for your old carpets to be taken up and disposed of in the most environmentally-efficient way possible. Who wants to spend an evening after a hard day’s work or maybe looking after the kids to take on the task of emptying a room of its furniture? Well, you don't have to. Our fitters will carefully move your furniture out and back in to your room once the new carpet is laid. Some floors may need preparation prior to installing a new covering. Fludes Carpets will survey the floor and recommend the best method of fitting your flooring and advise on the type of preparation needed. When you purchase a carpet from Fludes we won't surprise you with hidden charges. Our delivery is completely free of charge when we fit your flooring. When you spend £699 or more in store we welcome you to join our Interest Free Credit* plan. *10 months interest free CREDIT (representative 0% APR). Minimum order value £699. Subject to status. Please contact one of our branches to discuss your flooring requirements. We are happy to offer a free measuring service.